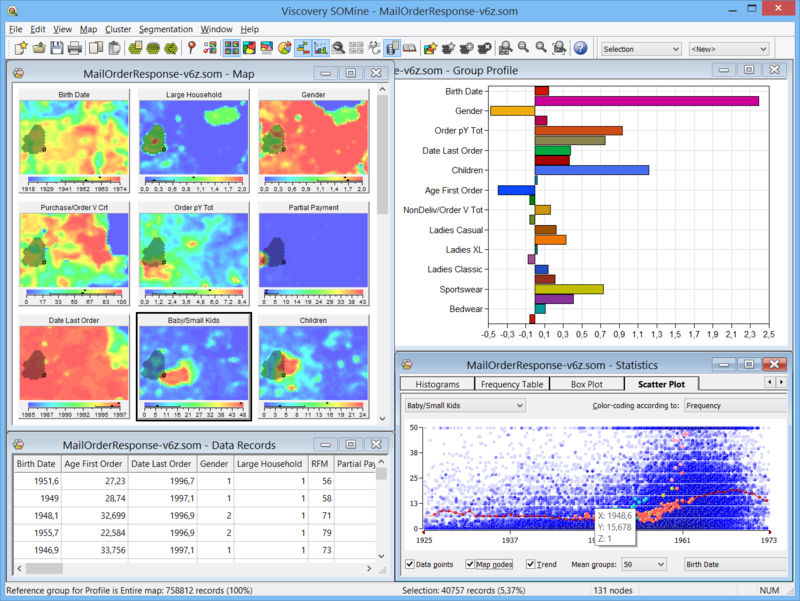 or explore big data distributions? and support for complex analysis projects. 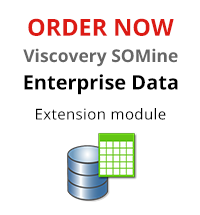 Enterprise Data is an extension module of the Viscovery SOMine suite. It requires the Visual Clusters core module and can optionally be combined with other modules of the suite. This module provides features to connect with enterprise data sources, to handle very high-dimensional data and to support the work process in complex analysis projects. 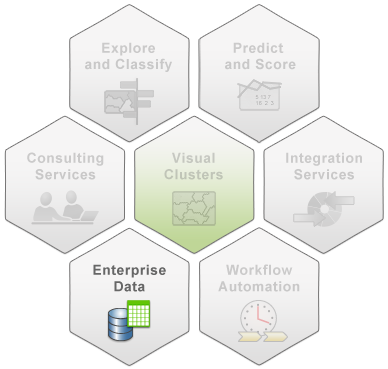 The module enables processing of data sets with an unlimited number of records and variables in the complete suite. For a complete list of features, view the Enterprise Data module data sheet.